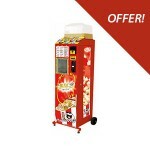 Perfect for convenience shops, leisure centres, amusements parks, bars, bowling alleys, shopping centres, offices for employees and so much more. These unique vending machines dispense approximately. 32gr of freshly made popcorn upon the customer inserting money into the machine. The corn is preflavoured and the aroma is alluring while popping. 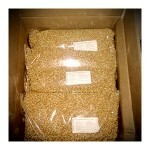 The whole process takes around 80 seconds from insertion of coins to complete ready to go Popcorn. Contactless Card Payment is available soon in the near future. No oil is used in the cooking but simply by hot air. This makes this choice a healthy option too as well as convenience. No wastage, as Popcorn is Automatically Popped to customer demand. 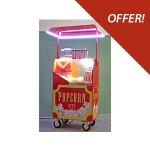 Whether it be a leisure time vending business or snack vending for your employees. These niche machines will work in any of those settings. 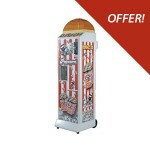 We can also adapt the coin mech so it’s a free vend push button for complimentary vends. 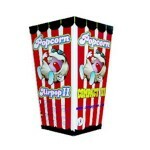 We supply the preflavoured corn and vending cups for these machines.